A new study reveals some incredible truths about violent acts by people. An amazing new study is making a bold claim about violence: murder is natural for human beings, but civilization has helped us tame the savage beast that is within all of us. That’s based on an analysis of 1,000 mammal species and how often they kill their own kind. The scientists found that closely related speices often kill each other at similar rates, so where we are on the evolutionary tree can tell us a lot about how violent we are. And we are related to some pretty violent animals, according to the study, which was published in the journal Nature. The study says that humans definitely have an ancestral heritage of violence, and we are certainly closely related to other violent species. Mammals are the most violent of all animal groups, responsible for three killings out of every 1,000 deaths. 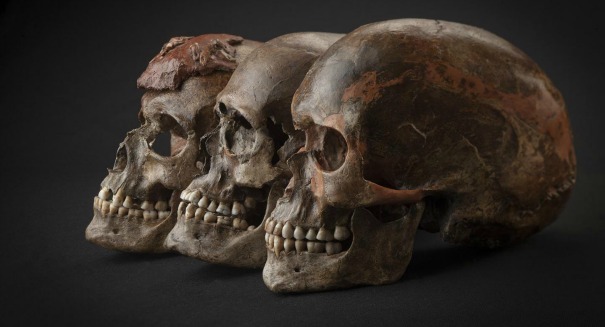 Early humans may have topped out at about 120 per 1,000 in the medieval period of human history. But that number has declined greatly since then. Now we’re down to 13 in 1,000. Still pretty high, but it shows that civilization may be finally taming mankind. What’s on the other end of the spectrum? Surprisingly, it’s the killer whale, which may kill other animals with ruthless efficiency but almost never kills their own kind. Bats and anteaters are also up there. And humans aren’t the most violent species. Cougars, types of baboons, lemurs and chinchillas are quite murderous, going above 100 per 1,000. The psychological, sociological and evolutionary roots of conspecific violence in humans are still debated, despite attracting the attention of intellectuals for over two millennia. Here we propose a conceptual approach towards understanding these roots based on the assumption that aggression in mammals, including humans, has a significant phylogenetic component. By compiling sources of mortality from a comprehensive sample of mammals, we assessed the percentage of deaths due to conspecifics and, using phylogenetic comparative tools, predicted this value for humans. The proportion of human deaths phylogenetically predicted to be caused by interpersonal violence stood at 2%. This value was similar to the one phylogenetically inferred for the evolutionary ancestor of primates and apes, indicating that a certain level of lethal violence arises owing to our position within the phylogeny of mammals. It was also similar to the percentage seen in prehistoric bands and tribes, indicating that we were as lethally violent then as common mammalian evolutionary history would predict. However, the level of lethal violence has changed through human history and can be associated with changes in the socio-political organization of human populations. Our study provides a detailed phylogenetic and historical context against which to compare levels of lethal violence observed throughout our history.